An Era of Social Change How much can society change? 1 An Era of Social Change How much can society change? 6 Women Fight for Equality Main Idea Through protests and marches, women confronted social and economic barriers in American society. 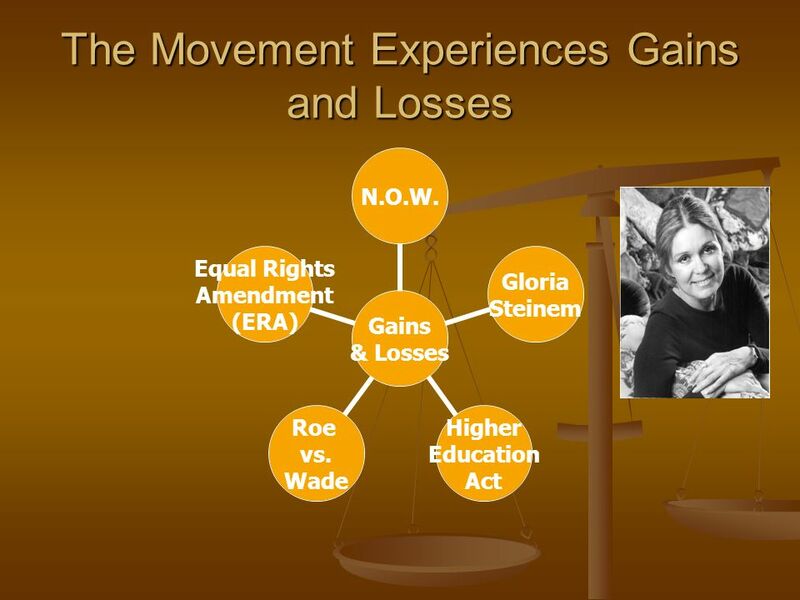 Why it Matters Today The rise of the womens movement during the 1960s advanced womens place in the workforce and in society. 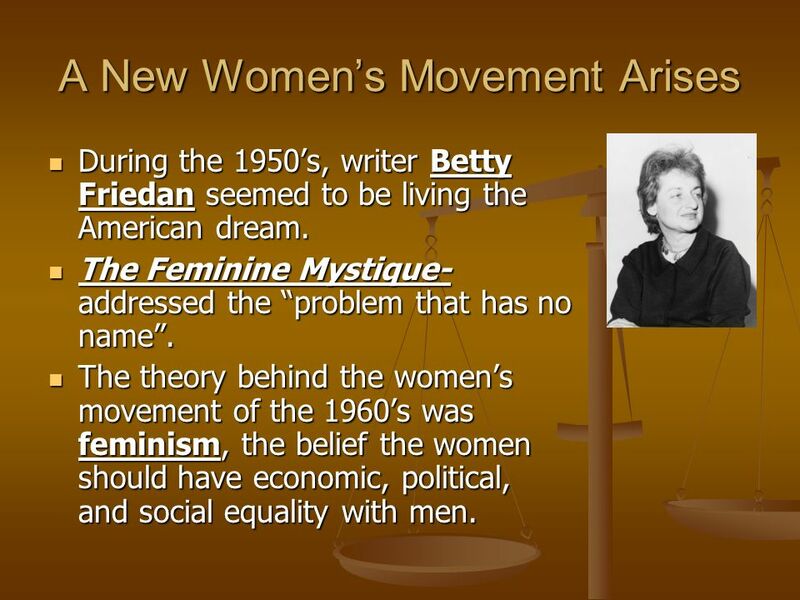 7 A New Womens Movement Arises During the 1950s, writer Betty Friedan seemed to be living the American dream. During the 1950s, writer Betty Friedan seemed to be living the American dream. The Feminine Mystique- addressed the problem that has no name. 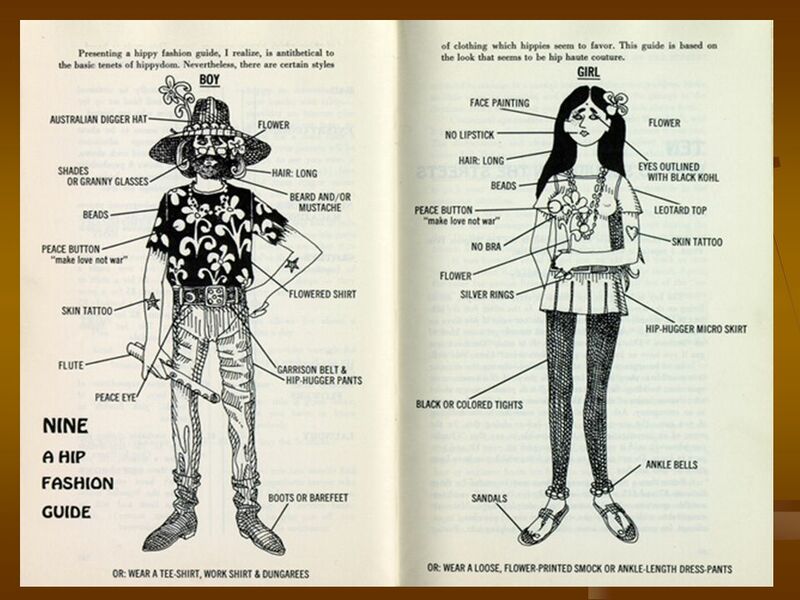 The Feminine Mystique- addressed the problem that has no name. 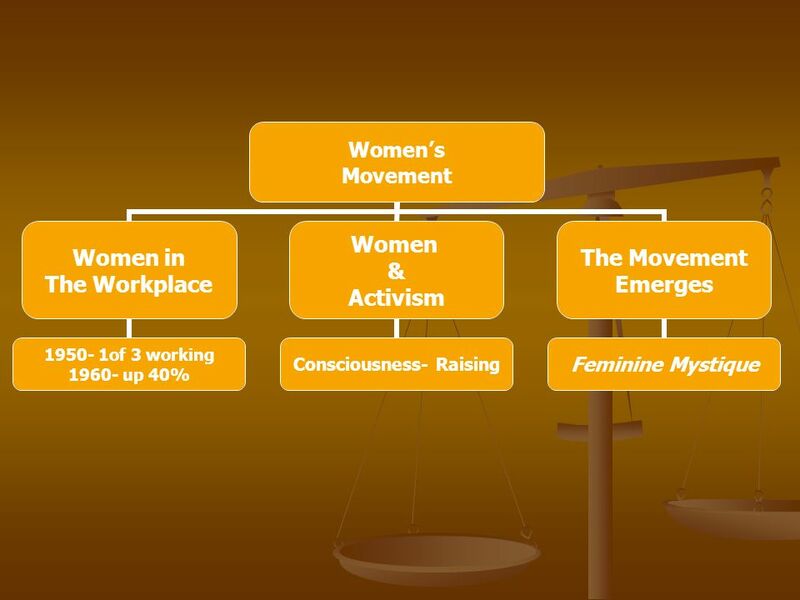 The theory behind the womens movement of the 1960s was feminism, the belief the women should have economic, political, and social equality with men. 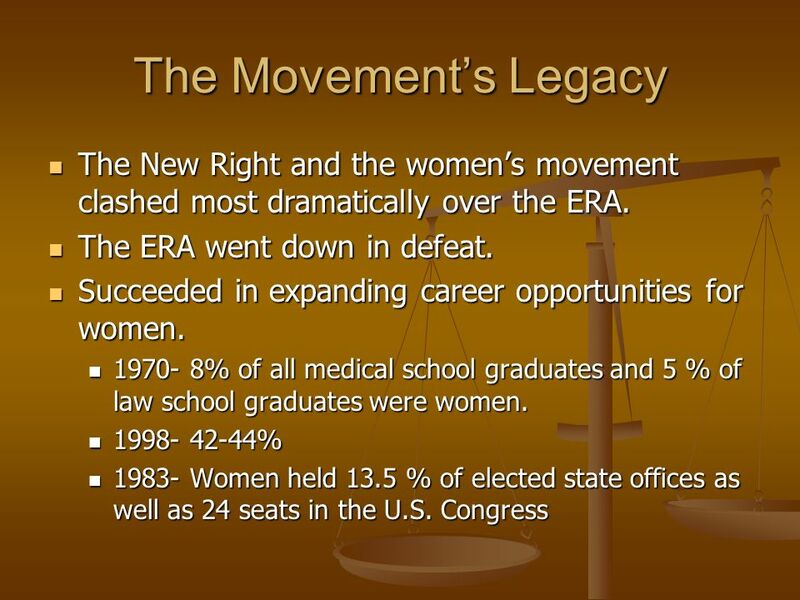 The theory behind the womens movement of the 1960s was feminism, the belief the women should have economic, political, and social equality with men. 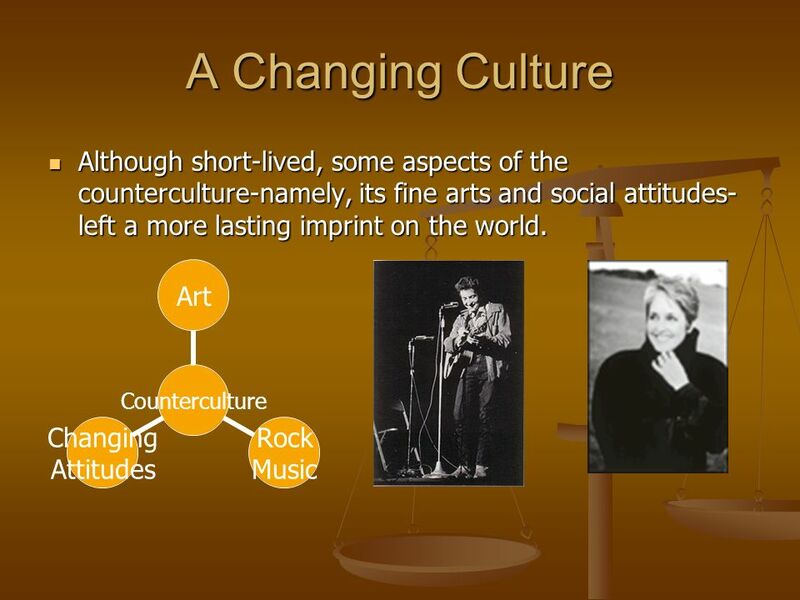 11 Culture and Counterculture Main Idea The ideals and lifestyle of the counterculture challenged the traditional views of Americans. 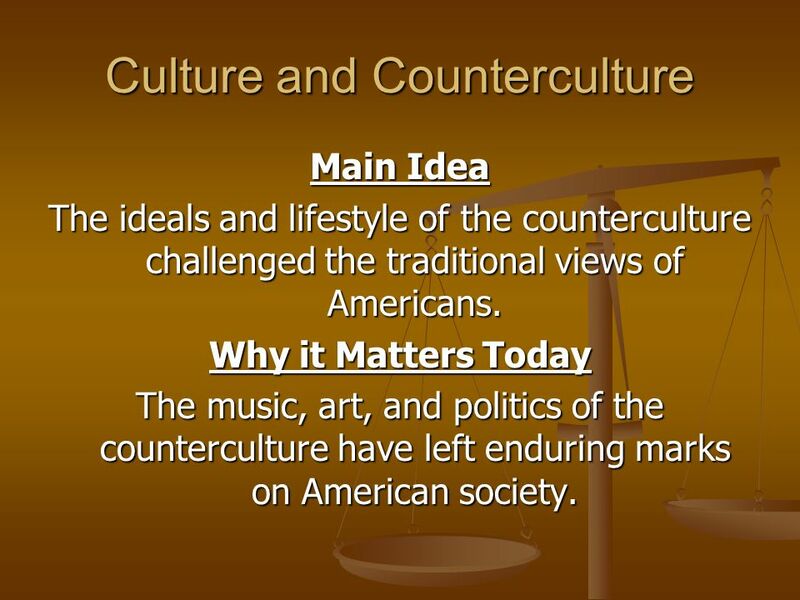 Why it Matters Today The music, art, and politics of the counterculture have left enduring marks on American society. 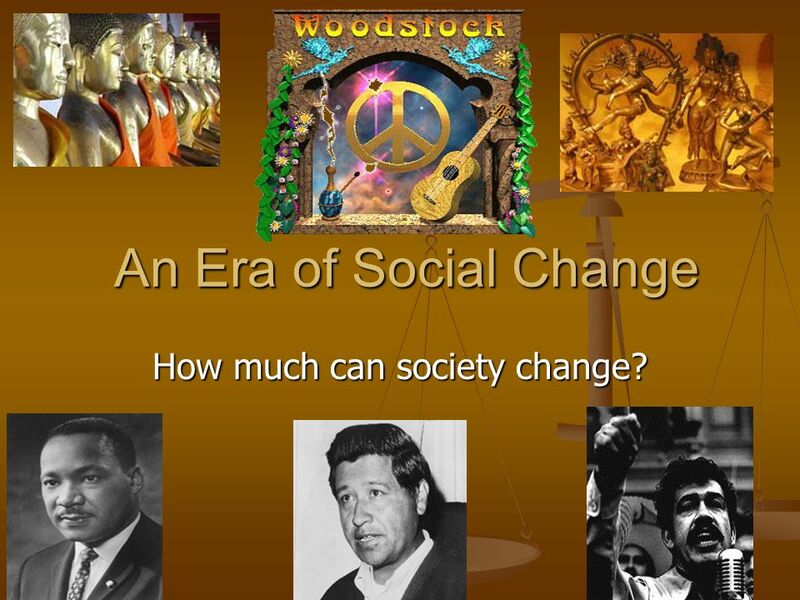 Download ppt "An Era of Social Change How much can society change?" 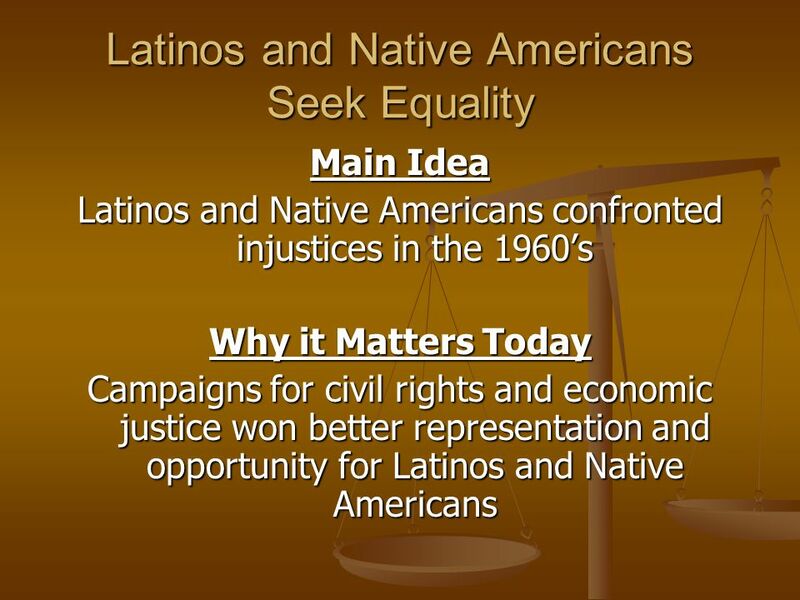 An Era of Social Change Latinos, Native Americans, and women seek equality in American society. 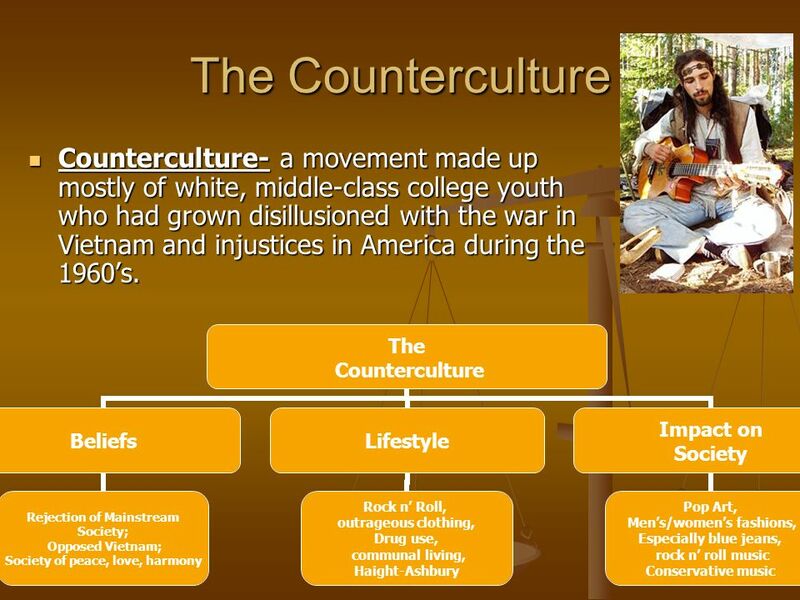 The ideals and lifestyles of the counterculture challenge. Latinos, Native Americans, and Women. 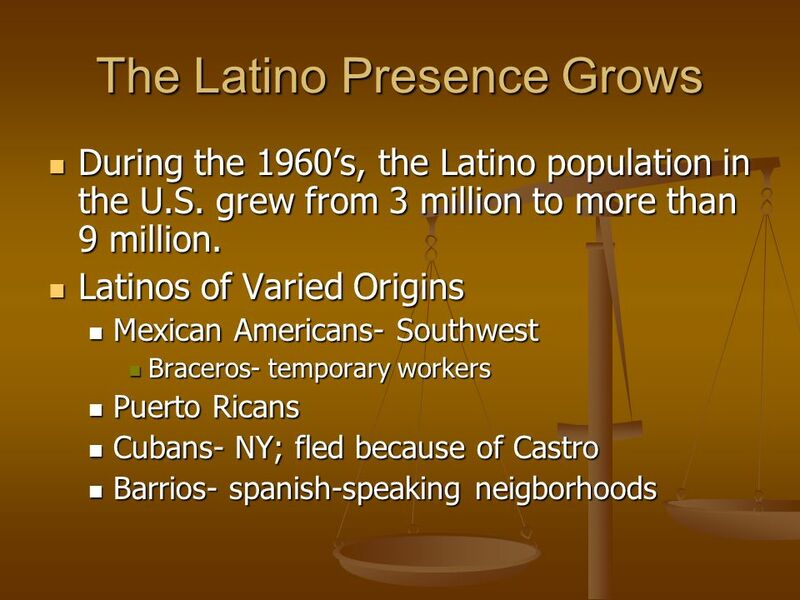 The Latino Presence Grows Latinos of Varied Origins 1960s Latino population grows from 3 million to 9 million Mexican. 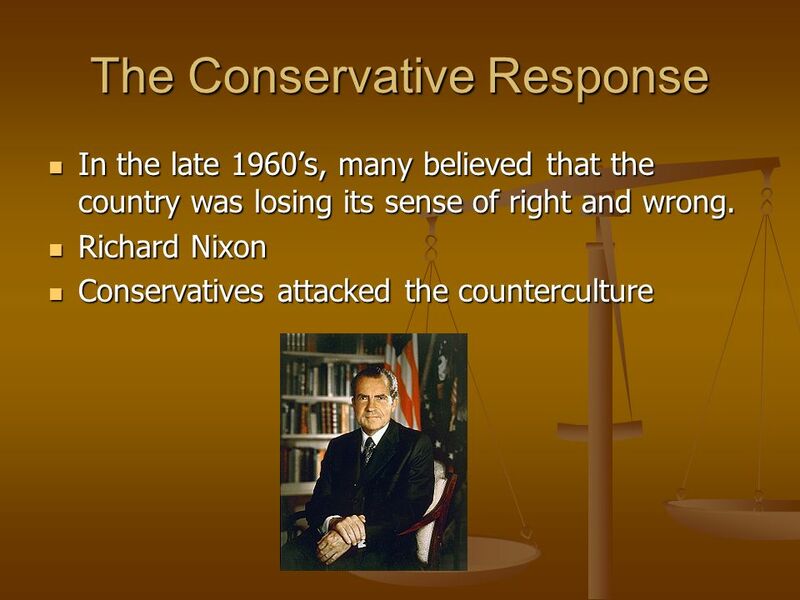 Chapter 25 Section 1 The Cold War BeginsThe Women’s Rights Movement Section 2 Analyze how a movement for women’s rights arose in the 1960s. Explain the. 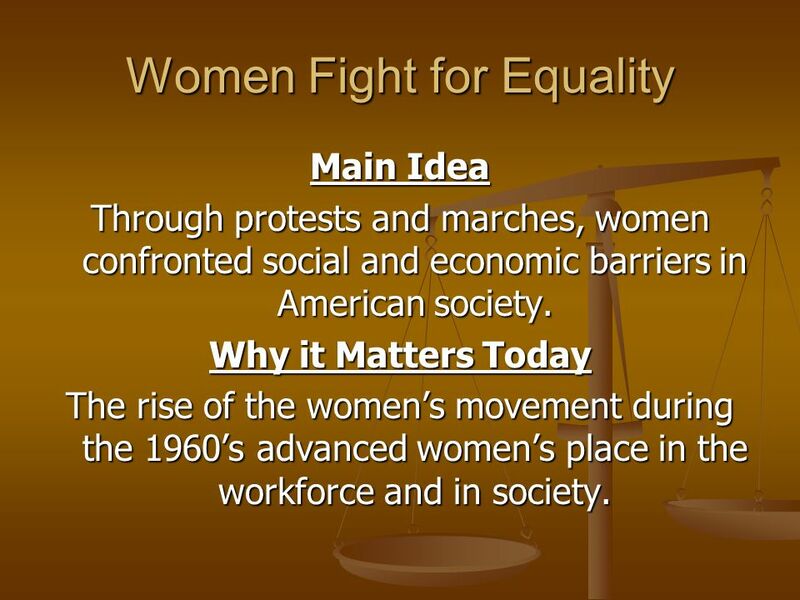 Women Fight for Equality Mr. White’s US History 2. 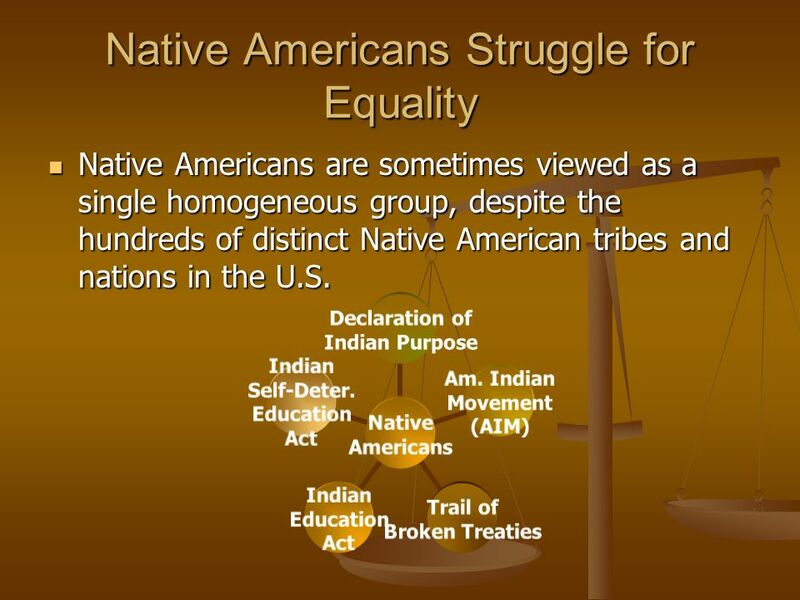 The Civil Rights Movements Spread Women, Hispanics, and Natives (21.2 and 21.3) You get rights! Everyone Gets Rights!! 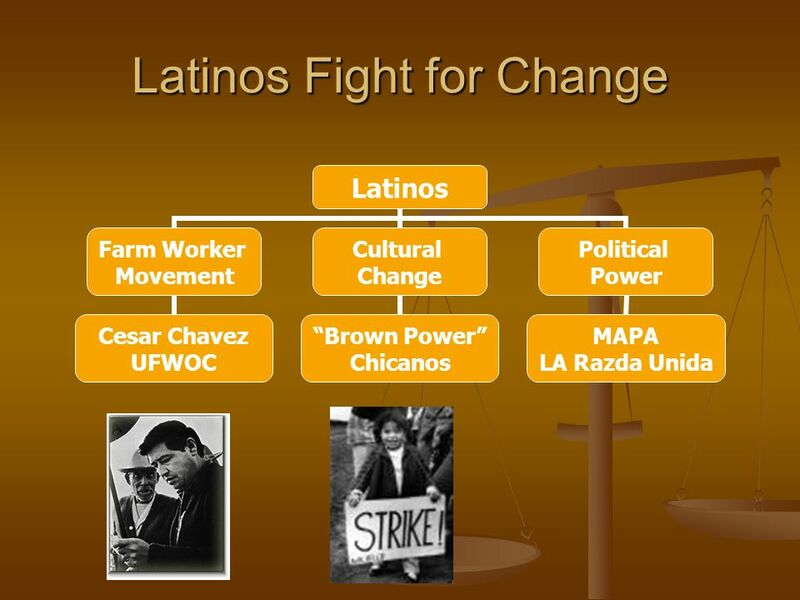 Mexican Americans Organize Cesar Chavez Family was migrant farmers while growing up 1962, organized the National Farm Workers Association Union boycotted.